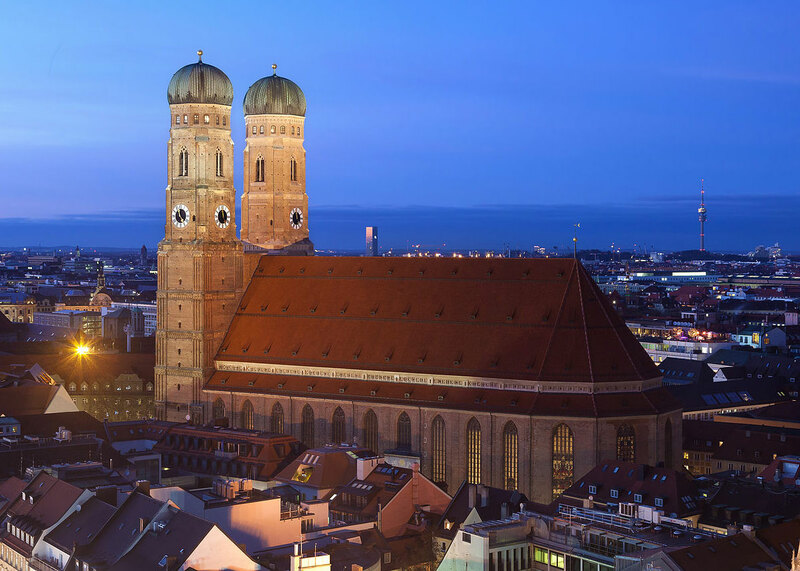 One of the distinct landmarks of central Munich is the massive Frauenkirche, or Church of Our Lady. 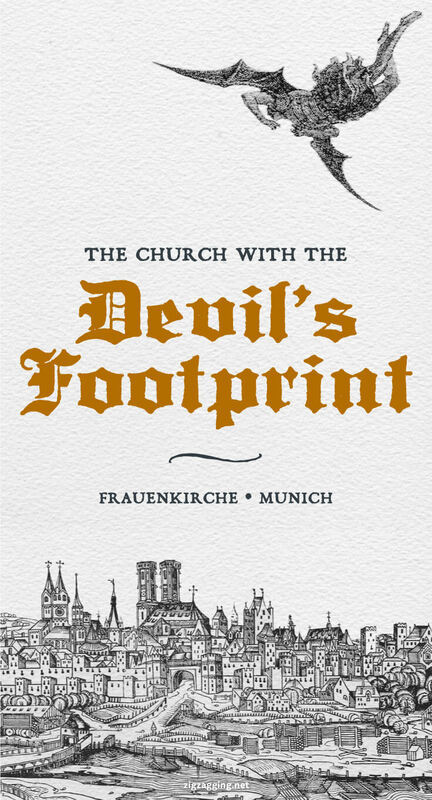 Aside from being the second oldest parish church in Munich and the seat of the Archdiocese of Munich and Freising, Frauenkirche is particularly famous for one very odd distinction: it bears the devil’s footprint inside its hallowed halls. Construction on Frauenkirche began in 1468 by Jorg von Halsbach and was completed in only 20 years. Due to budget shortfalls the resulting design of the church lacks the traditional Gothic ornamentation of the period, and is extremely plain both inside and out. The church serves as the seat of the Archdiocese of Munich and is the burial place Holy Roman Emperor, Louis IV, along with members of the Wittelsbach dynasty, and King Ludwig III, the last king of Bavaria. The church can easily be recognized from a distance by its two tall towers. The original plan for the towers was for them to feature elaborate pointed spires, similar to those atop the cathedral in Cologne, but the idea was scrapped due to lack of funds. The towers remained uncovered until 1525 when rainwater damage forced renovators to add the characteristic domes that are still visible today. The completed height of the towers is just under 99 meters. A city-wide statute prohibits buildings from exceeding the height of Frauenkirche, and as a result no buildings in the city are taller than the aforementioned height. A sketch of Munich in 1525 from the Nuremberg Chronicle. Frauenkirche with its uncovered towers can be seen in the center. 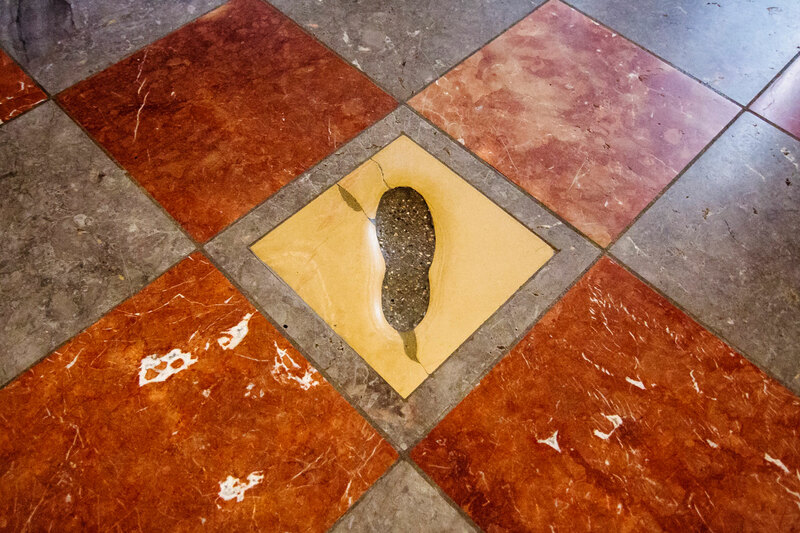 Inside the narthex of Frauenkirche is an unusual tile containing a black footprint, which is said to be the Teufelstritt, or Devil’s footprint. There are several legends of differing details surrounding the footprint, but the basic story goes like this. In 1468, architect Jorg von Halsbach made a deal with the Devil: the Devil would provide funds for the cathedral as long as it remained a celebration of darkness. No windows were allowed to be seen in the building. It appears that the Devil wears about a size 9. And Crocs. Upon completion of the building, the Devil entered the church to survey the outcome. From a vantage point in the vestibule, not a single window could be seen, even though the nave was flooded with light. The Devil was satisfied with the result, but as he stepped further into the church, he realized he had been fooled. Von Halsbach had designed the nave with columns that blocked the side windows from view, and a large central alter piece covered the stained glass windows at the far end of the church. In a fit of fury, the Devil stamped his foot on the ground, leaving an imprint in the floor. He then left the church and transformed himself into a great wind spirit, which rushes around the church towers to this day. From the narthex of the cathedral, all the windows are hidden by columns except the stained glass window at the end, which was once hidden by an elaborate alter piece. 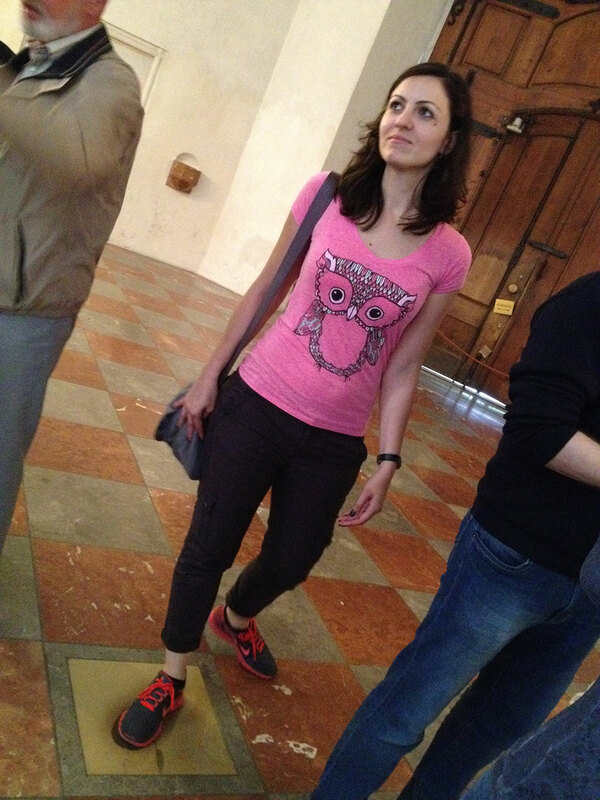 Zena standing in the Devil’s footprint. It looks like they may have the same shoe size. Frauenkirche is located in Munich’s historic city center and can be reached via a short walk from either the Theatinerstraße tram stop or the Marienplatz subway station. Be sure to climb the south tower for unique views of Munich and the nearby Alps. Transportation: Theatinerstraße tram stop or the Marienplatz subway station.